Creativity is an important quality at work as well as in our personal life. 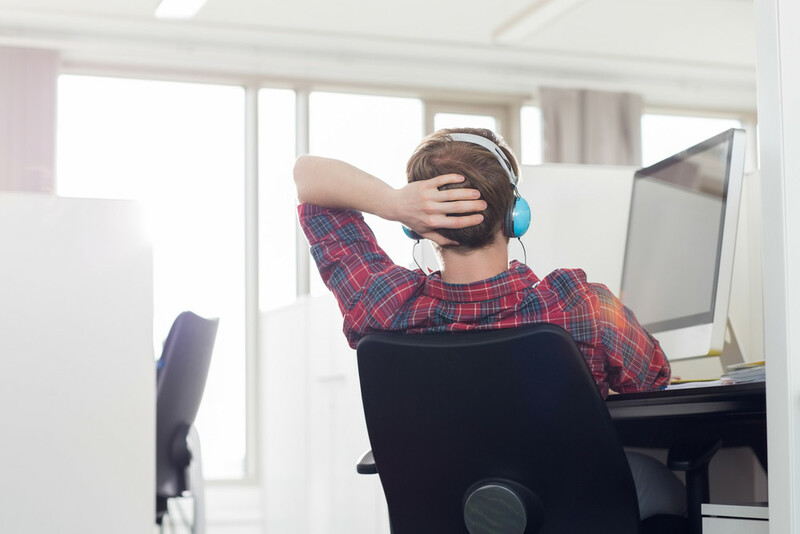 Going against the belief that listening to music enhances our creative thinking, a recent study found out that it might have the opposite effect. Published in the Applied Cognitive Psychology journal, the study explores if background music actually restrains you from thinking creatively. Researchers from universities in the United Kingdom and Sweden used so-called CRATs (compound remote associate tests) for their experiments. These verbal insight problems are usually used to study insight-based creative problem-solving. The psychologists gave participants three words in order to find a single associated word that could be combined to make a common word or phrase. These tests took place in different environments, either quiet or with music playing. To experiment the actual impact of listening to background music the different groups listened to music with unfamiliar lyrics, music with familiar lyrics or instrumental music without any lyrics. Surprisingly, participants listening to background music were “significantly impaired” in performance. The reason for this influence is not explored yet but it is possible that music disrupts our verbal working memory. "We found strong evidence of impaired performance when playing background music in comparison to quiet background conditions." said Dr Neil McLatchie as quoted by MSN. Also, the group listening to music with familiar lyrics had a poor CRAT performance, no matter if the music induced a positive mood or not.